Dressers are the centrepiece that feels at home in dining rooms, kitchens and living spaces alike. They’re a mark of tradition, they’r endlessly useful and they’re a piece you’ll love forever. We have dressers ranging through many styles from classic to traditional to contemporary, but they all have one thing in common and that is the fact that they have been designed with looks in mind and practicality. Many sizes of dresser, 5 sizes to choose from 3ft, 3ft6, 4ft, 5ft and 6ft and different configurations sure as glazed rack dressers, contemporary dressers and open rack dressers. Endlessly versatile pieces for wherever you need storage, sideboards suit kitchens, living rooms, dining rooms and even bedrooms. 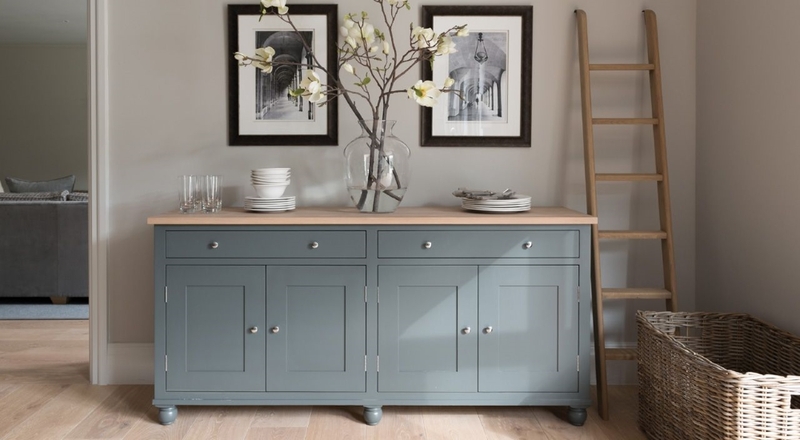 Anywhere where you are lacking storage in your home a sideboard is the perfect companion. Most of the sideboards come in 5 sizes which are 3ft, 3ft6, 4ft, 5ft and 6ft and different variations of doors and drawers.